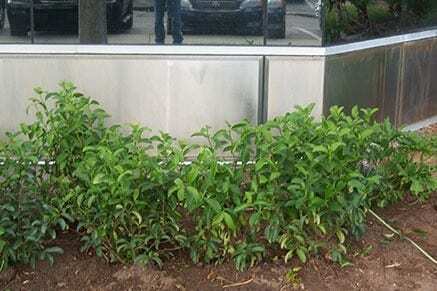 For the metal on your building’s envelope, A1 Orange provides cleaning maintenance and restoration services. Regular service can prevent staining of your Alucobond Panels and Anodized Aluminum Windows Frames due to caulking runoff, pollutants in the air, oxidation, sprinklers and other exposures. If these haven’t been maintained, our stain removal and restoration processes can usually repair and return your metal to good condition. 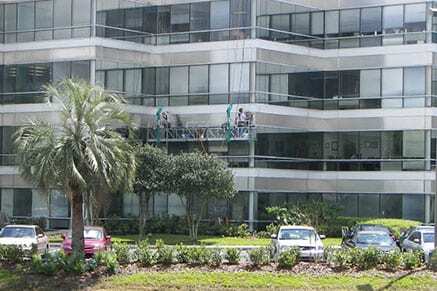 Exterior Metal Cleaning — A1 Orange removes dirt, debris, and pollution from Alucobond Panels and anodized aluminum window frames on buildings, store fronts, canopies, monument signs and brand signs. Stain Removal/Restoration of Alucobond Panels — A1 Orange’s experienced Alucobond Panel cleaning and restoration experts use high quality products to repair chalked, faded, sprinkler-stained or even chemically damaged panels instead of costly replacement. This damage can’t be removed by standard cleaning procedures and must be restored by professionals with the right products or you risk damaging the surface further. Each project is unique, and we work with the manufacturer to select the best product and process to reveal the original, intended finish for your project. After restoration, A1 Orange can apply a long-lasting, invisible surface layer which protects the finish better than the original Alucobond Panel finish. Anodized Aluminum Window Frames Restoration — A1 Orange can also return faded, stained, oxidized, dull and/or pitted surfaces to their original condition. If a building has alternating bands of metal and glass alternating on its façade, can the metal be cleaned less frequently than the glass? No, washing either the glass or the metal will cause dripping on the other surface and make it dirty. They must be cleaned at the same time. Exterior metal on your building should receive regular maintenance/cleaning on the same schedule as your glass and windows — more frequently on the first floor, and semi-annually or annually for areas less exposed to staining elements. This can help keep your windows clean longer, and prevent rust stains from the metal on your glass. For building walls where metal and glass are used next to each other, the exterior metal on your building should receive be cleaned on the same schedule as your glass and windows — more frequently on the first floor, and semi-annually or annually for areas less exposed to staining elements. This can help keep your windows clean longer, and prevent rust stains from the metal on your glass.